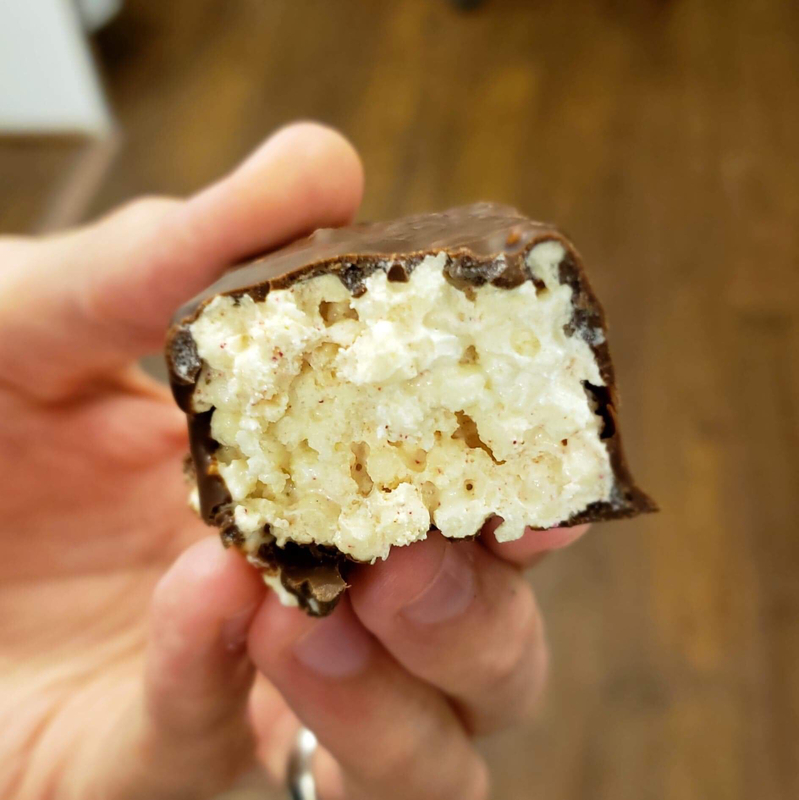 Our strongest protein bar yet, the MOAB packs 25 grams of protein in a marshmallow and crisp base with a smooth natural chocolate flavor. 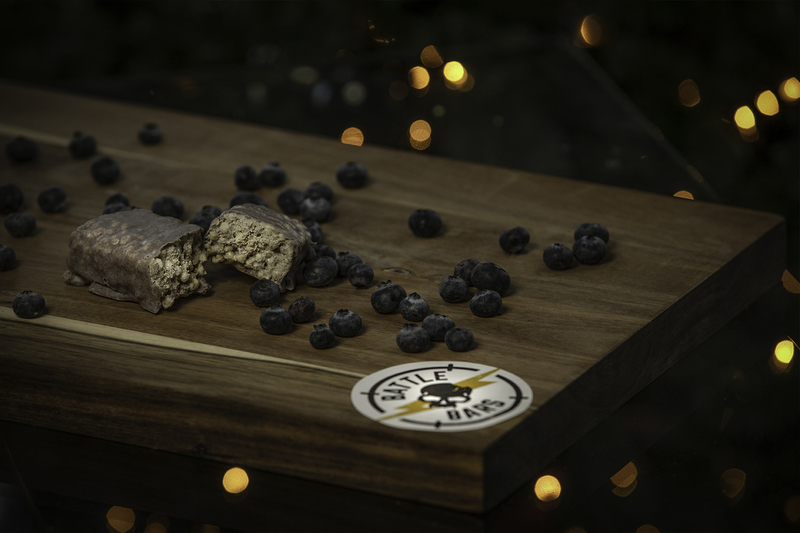 A smooth-tasting blueberry yogurt bar with a marshmallow and rice crisp texture inside. 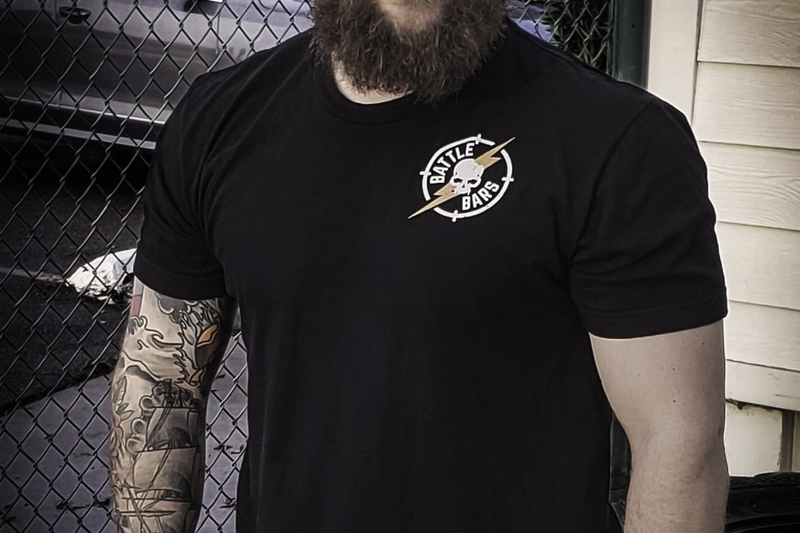 whether it be on the battlefield, in the gym, or in their daily lives. Choose from Chocolate or Blueberry Yogurt, with more delicious flavors coming soon. Don’t just eat Battle Bars, wear us too. "Got my order yesterday from @battle_bars_ needless to say, blue falcon bars are tasty, crispy, smooth, and my husband stole half of it from me (veteran). 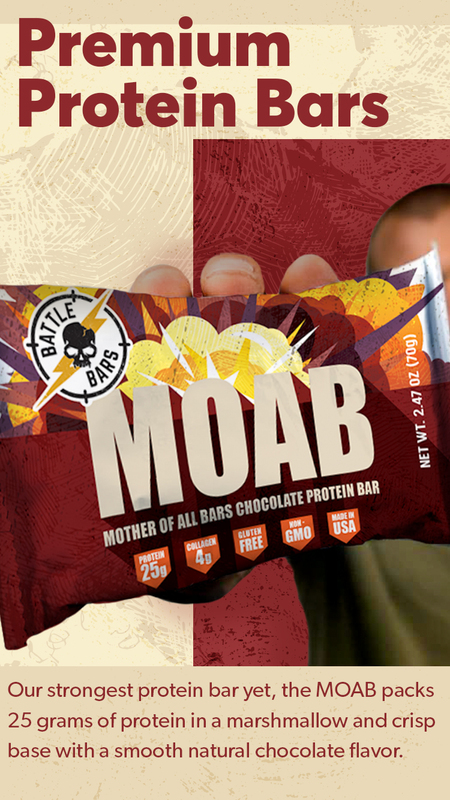 Will definitely be ordering the MOAB bars. 👍 thanks guys for making a protein bar I’ll actually eat." "Hands down best tasting cleanest protein bar ive had. Taste and texture are unmatched." 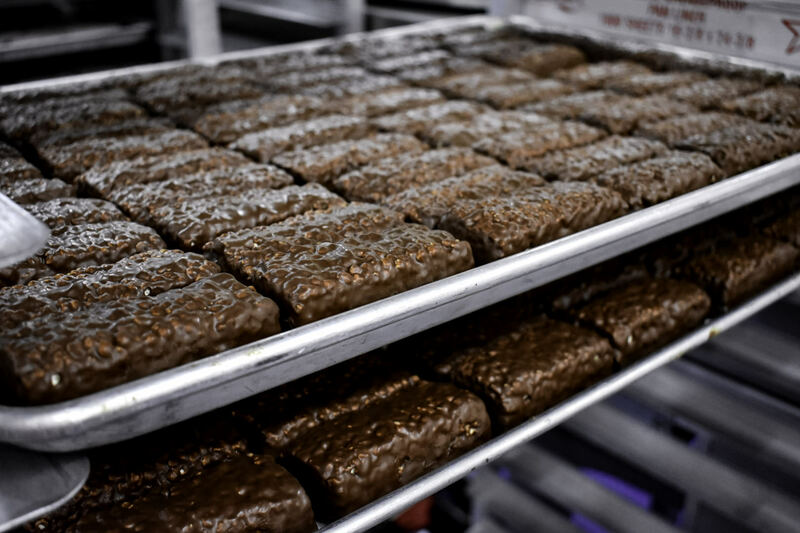 We challenged ourselves to create a bar with a texture that redefined what a protein bar should taste like.